As we know the fact very well that we humans process visual content faster than the text. It’s time to take forward another step, i.e., Embedding video and images in forms because visual content proves to be more effective in terms of expressibility. FormGet gives you the freedom of embed video and other media usage along with the paragraphs in forms. 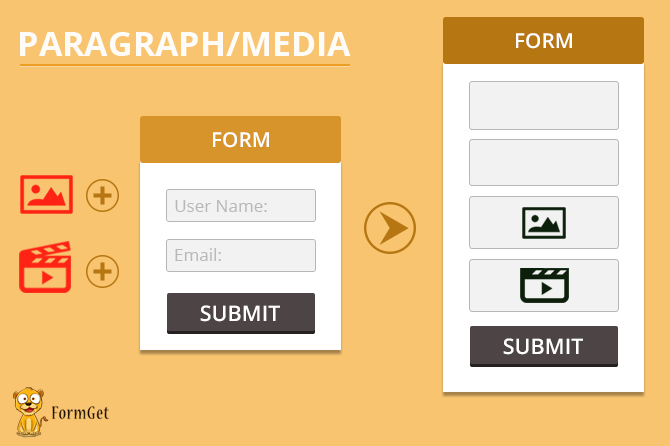 All you need to do is just add Image/ Paragraph/Media field along with other form fields in your forms and with a few clicks your form is ready with a visual content.